A&A offers a wide range of Bridgestone Car, 4x4 and Van tyre, choices for sport, touring, 4x4 and winter driving. 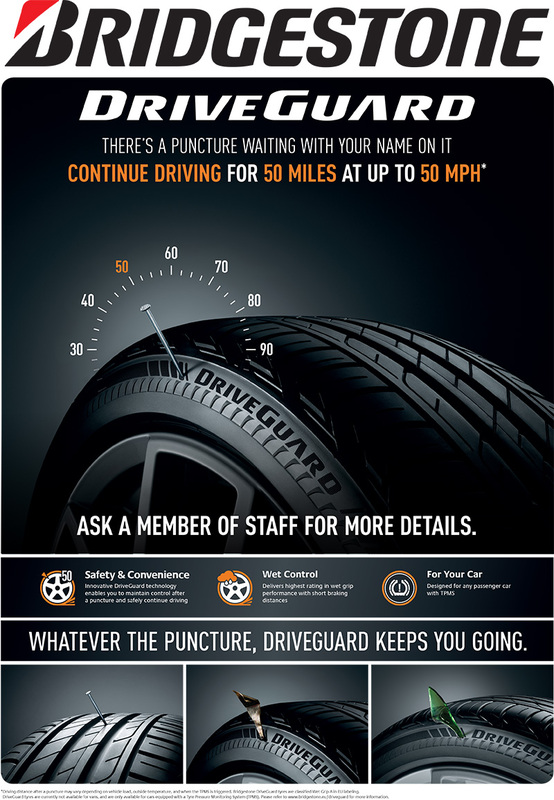 Whatever your driving style, Bridgestone has a tyre to suit your driving needs. No other tyre satisfies your quest for harmony like Bridgestone’s TURANZA range. State-of-the-art construction meets the most advanced tread designs for an unprecedented synergy between safety, comfort and performance. Reducing your carbon footprint no longer means having to compromise on safety, comfort or handling. Bridgestone’s ECOPIA range combines low rolling resistance with outstanding wet-weather safety and performance. Why follow when you can make your own path with Bridgestone’s DUELER range? Combining robust construction and ground-breaking tread designs, these tyres are built to handle life’s unexpected turns in comfort and style.